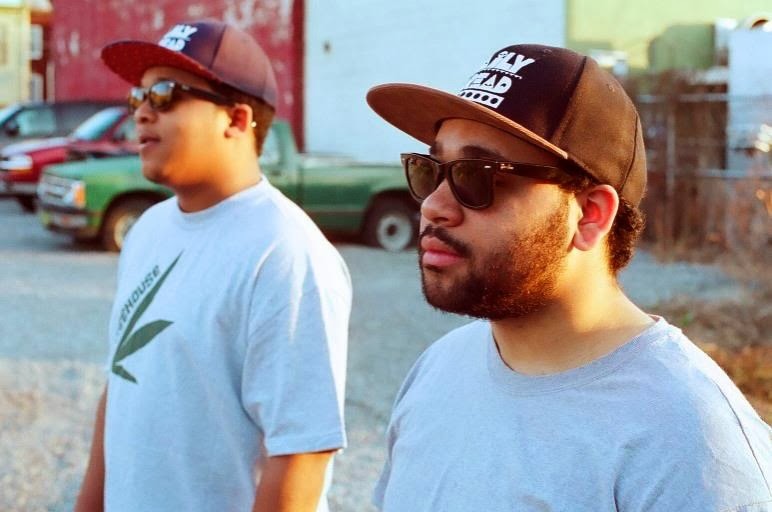 The Come-UP are currently one of the most anticipated and slept on acts out of Pittsburgh. But they've been quietly amassing a large amount of music to bring to their loyal fans and new fans with their EP with DJ Burn One dropping soon. "Shinin" produced by frequent collaborators Eric G knocks like no other. Fran and Vin glide effortlessly over Eric's banging production. Be sure to follow The Come-UP, Franchise, and Vinny Radio on Twitter @TheComeUpBoys @Franchise15104 @Vinnyradio and check out their website thecomeupboys.com. Pittsburgh artist $osa has been on a major grind this year, doing several shows over the summer, 6 radio interviews, countless blog posts & several other accomplishments that highlight his focus & dedication to his craft. After 3 successful mixtapes, he has now released what could be his biggest project yet, #LAMarket, on Livemixtapes hosted By DJ I Money Of FirstRoundDjs & DJ Got Now. The tape highlights extensive production from his #BurghMusic team partner & upcoming producer in Pittsburgh, John ''Waking Up The Neighbors'' Lee, Tw1ne, $ef, Jahlil Beats & Arizona producer, LoudxPack aka TheBeatPlug. 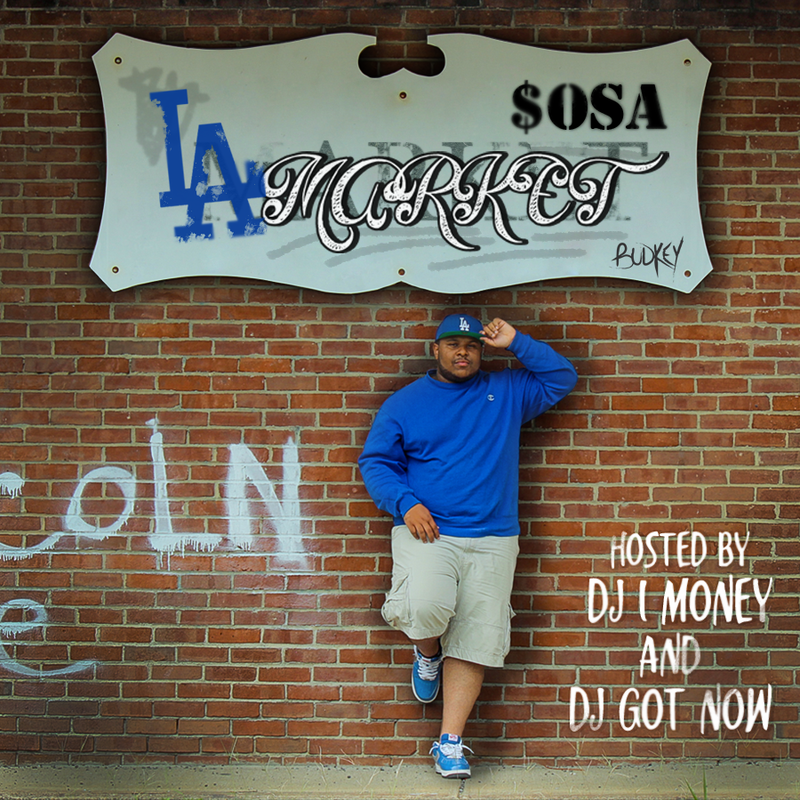 LA Market also has several features from #BurghMusic members Tw1ne & Money, Luxo of The H&T, #HCS member Grits Capone, JFK'S own Big Wink, & Pittsburgh artists $ef & C.H.R.I.S. @TollyBandz and @BrandonDull teamed up to bring you Tolly’s newest visual "Trilogy" from his project “Original Bandz” slated to release in the near future. 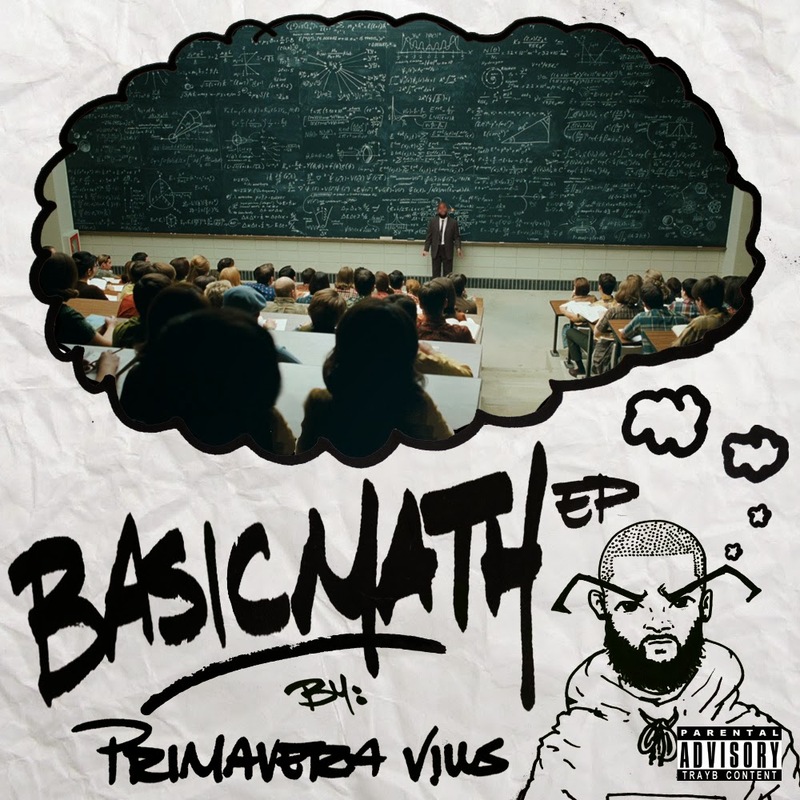 Primavera Vills, the witty and underrated Pittsburgh MC has been quietly putting out some of the best Hip-Hop in the city. Vills recently dropped his Basic Math EP under Mac Miller's REMember Music imprint which features the likes of B. White and The Come-UP with production from Hannibal King, BrandUn DeShay, Jaisu and more. Support with a name your price purchase at primaveravills.com and follow Vills on Twitter @PrimaveraVills. Tristan, aka Flash Gordon, releases the first visual from his upcoming project "Flash Gordon". On "A Step Ahead" Tristan calls up fellow Mon-Valley rep Big Gav to lay some guest bars. Flash Gordon drops on Thanksgiving. 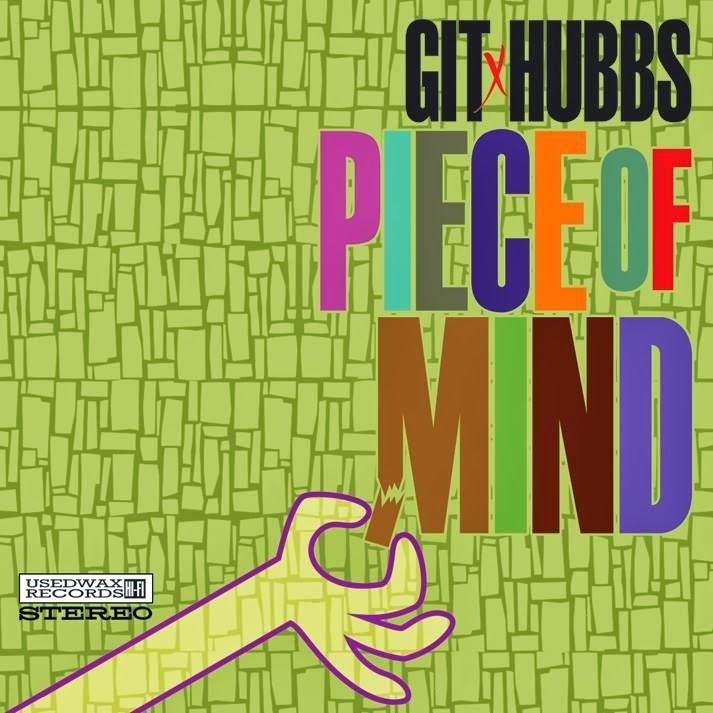 BBE/Yoruba Records producer Git aka Git Beats, and Pittsburgh artist Hubbs, return with the first single off their upcoming joint LP, Piece of Mind, which will be released on January 1, 2014 under the label Usedwax. This first single "Rap," features the usual witty bravado of Hubbs over classic dark, hard-hitting Git production. 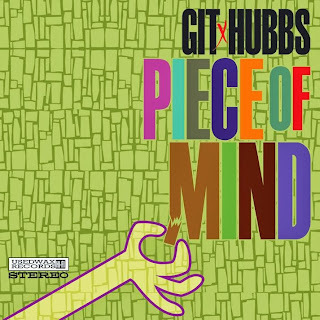 The Piece of Mind LP further builds off of the work Hubbs and Git did together on the song "Git Craft" off Git's Basement Ghost LP released earlier this year. Look out for the 2nd video/single off the Piece of Mind LP in December. Follow @GitBeats and @itsHubbs on Twitter, and visit GitBeats.com. 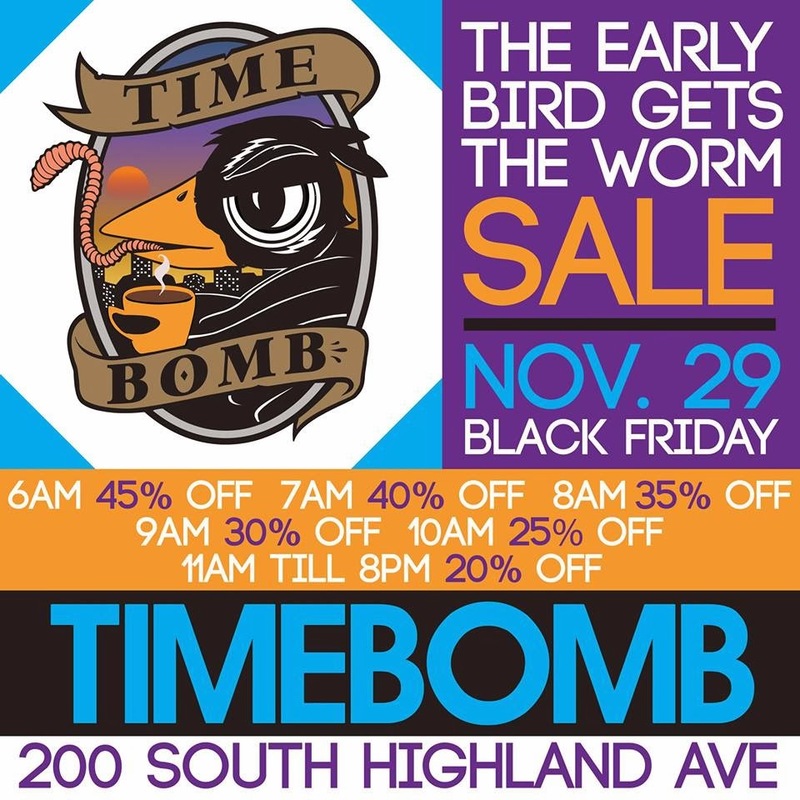 The Early Bird Gets The Worm: Black Friday Sale! 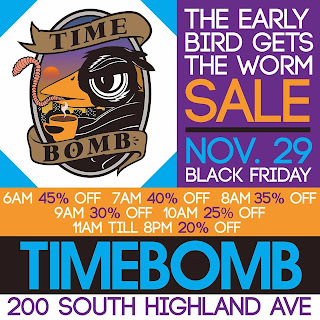 Join us Nov. 29th for our annual Black Friday Sale. 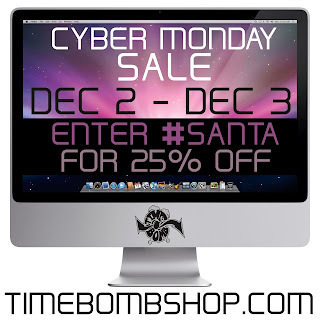 Doors open at 6 AM sharp with a 45% discount on all items in the store! 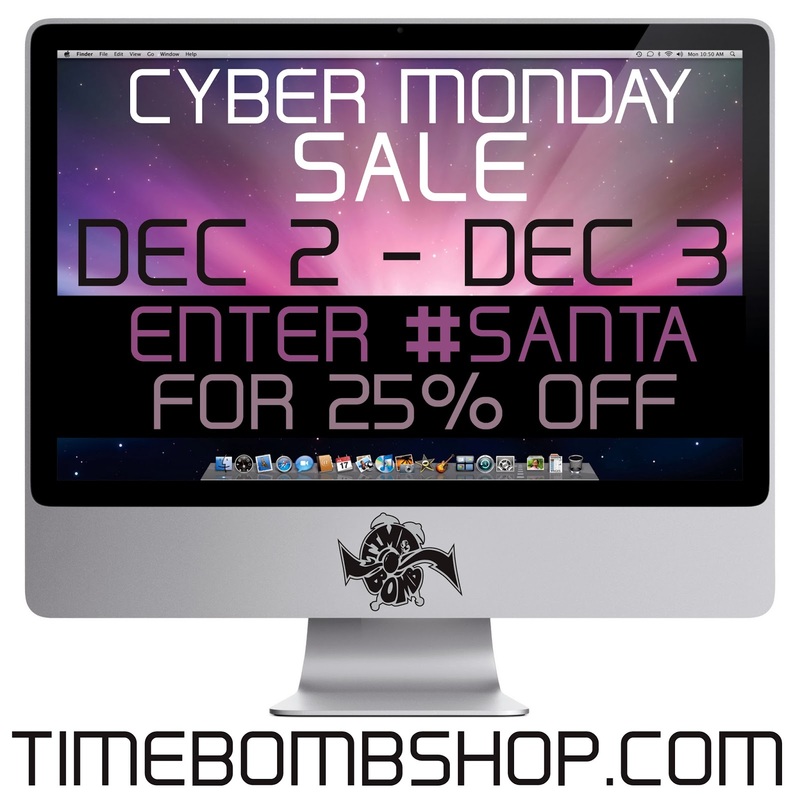 Every hour after that the sale percentage will drop by 5% till 11 AM where it will stay at 20% off until 8. Hope to see you bright and early! 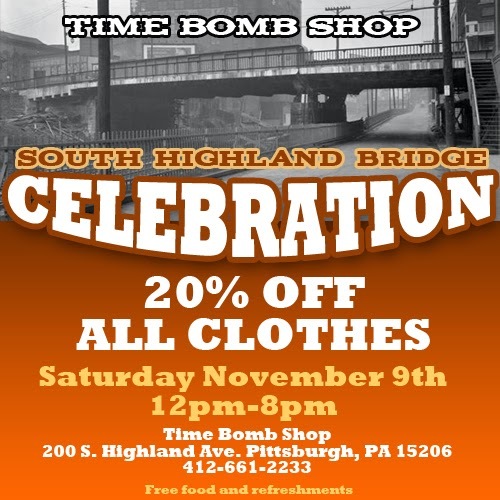 Bridge Opening Party This Saturday 11/9! It was long awaited and the south highland ave bridge is finally completed! It was a tough few months but TBC is back stronger than ever and this Saturday, November 9th, we are having a sale and party to celebrate. 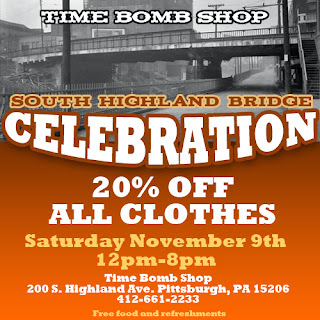 All clothes will be 20% off and Sinners and Saints Tattoos will be running a 20% off tattoo sale that day as well. Local artist will also be performing through out the night. 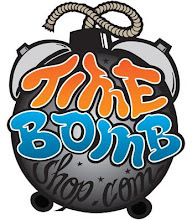 Starting at 5 PM, we will have some of the biggest up and coming Pittsburgh Hip-Hop artist performing in the store! The Come Up, Beedie, Real Deal, B. White and more will be performing throughout the night so this is definitely an event you do not want to miss!